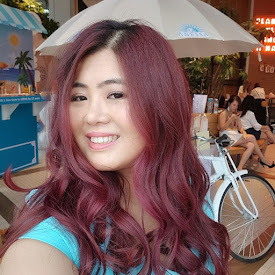 Recently I found out an international online beauty contest where the prize fund is more than USD10,000 (which is more than RM 32,000!!!). 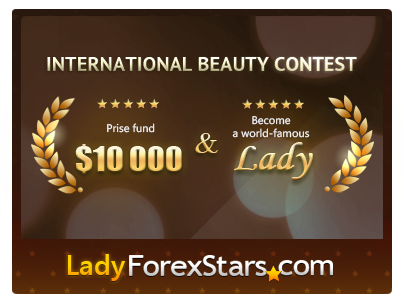 Basically this International Beauty Contest - Lady Forex Stars contest is a project for attractive girls and women who are self-confident, like to pose in front of the lens, and make new friends! The main peculiarity of this Internet-contest is the possibility of live communication with the participants of the contest. Contestants may keep blogs, share personal beauty advices, tell about their lives, and communicate with their adorers to gains votes! 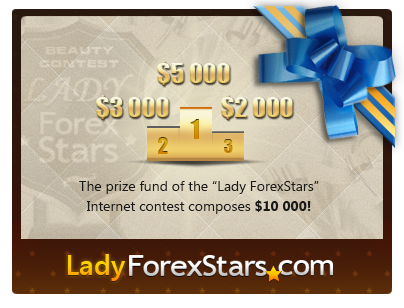 The Lady Forex Stars runs from 1st March to 1st October 2014 is opened to anyone. It's pretty simple to join, register and upload your photo and video presentation to the Lady ForexStars website here. Load your photos and video-presentation. .
2 stage : final round – 3 prize winning places. The winners will get their prize for the trading account in 5 days course after the finish of the contest. The prize fund may be withdrawn without limitations, or the part of the sum may be used for participation in ForexStars tournaments.